The 8000 Series Tumosan Tractors support farmers with their 4DT-39T295C, 4 cylinder engines renewed at Stage lll – A (Tier 3) level and offers superior performance and traction. 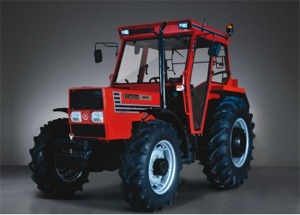 The Tumosan 8085 DT Classic Series tractor has a unique design combined with powerful and dynamic structure. They feature all-manual components (no electrics) offering economy and simplicity of maintenance. For pricing and availability call Gary Brogan Tractors in Newcastle West at 069-78942.